A paladin of Bahamut, Grax is a former soldier with several battles under his belt. 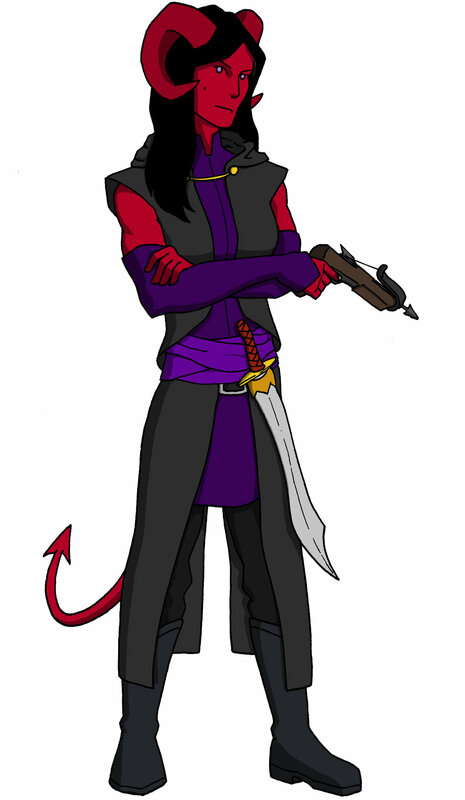 Used to a life of violence, he takes solace in a stiff drink, and in his love of dragons (in all that word implies). In his dealings with the Velvet League, he might discover a side of himself he has never known... or maybe he's just looking to get drunk. Fimion Balefrost was born under the oppressive rule of a wicked noble, and his family was eventually run out of their home. Spending his early years wandering the woods, Fim took up the life of a ranger, and formed a close bond with all animals. He has found a constant companion in the wolf he calls Shadow, and together the two have set out to strike against nobility, and to defend innocent people against the monsters that would threaten their way of life. 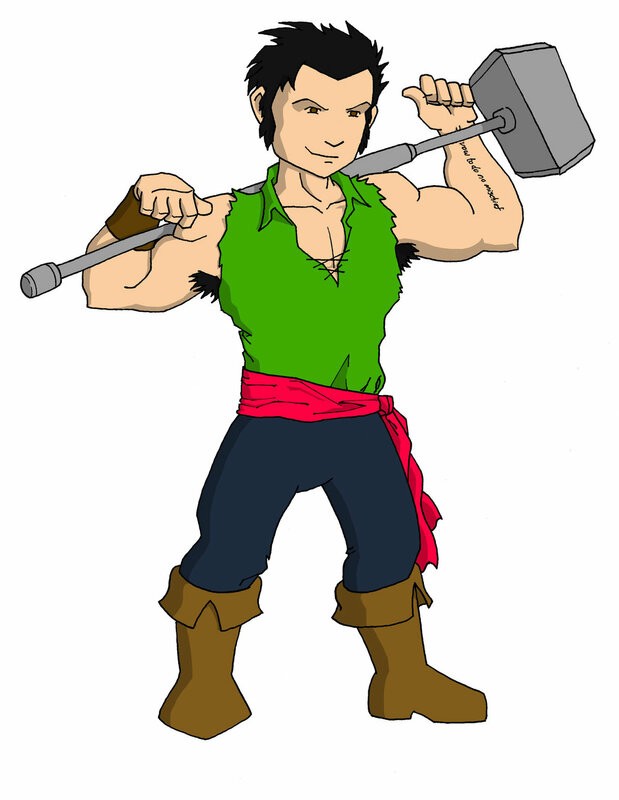 Cast out by his parents for being born staggeringly hideous, Aldwyn grew up on the high seas, living his life on a fishing ship, learning how to catch fish using only a warhammer. Due to his rough demeanor, he eventually found purpose as a tempest cleric of Kord, the god of strength and storms. However, as an atheist, Aldwyn is far from a true believer in Kord's power. Despite his long years wandering between temples and taverns, the smell of fish has never left him. As a researcher, Zereni has dedicated her life to logic and reason. But her life changed when her studies lead her to make contact with a mysterious creature from beyond time and space - a creature known to her only as a Great Old One. Gifted with strange magical abilities, as well as a grimoire called the Book of Shadows, Zereni has only begun to explore the strange secrets of her otherworldly patron. It is this search that has lead her out into the world... and directly into the path of the Velvet League. In every way the opposite of his brother Horace, Prince Darnsin Kemp barely considers himself a prince. Instead, he spends his time in the service of the people, and as a champion for his god, Bahamut. Kind and generous, Darnsin cares deeply for the people he travels with, and even more deeply for his family. As the manservant to Prince Horace Kemp, Gormo has endured much, from humiliation to physical harm. He has a great respect for the Kemps, and would never betray his master, despite any sub-human treatment he receives. However, past the sadness and loneliness, there's an anger burning deep in Gormo, which he can use to channel the soul of a great warrior... though he would certainly never admit to it. A skilled warrior, Aedoro hails from a distant mountain kingdom. A former member of the elite fighting unit, "The Seven Spears," Aedoro had a crisis of conscience when following orders led to the death of a little girl. Now he works odd jobs as a bodyguard or a brute... but he no longer takes orders without careful consideration. As a half-elf half-sibling from a second marriage, Dante Thundertree never quite found acceptance among his older brothers. When he inherited his unstable magics, the resentment began to grow as he became more dangerous. It was only when his brothers rose up to fight against a tyrant that Dante was lauded as a hero by the people. However, his actions resulted in many deaths, and these consequences weigh heavily on him. He only hopes that, one day, he can make amends with his estranged family. 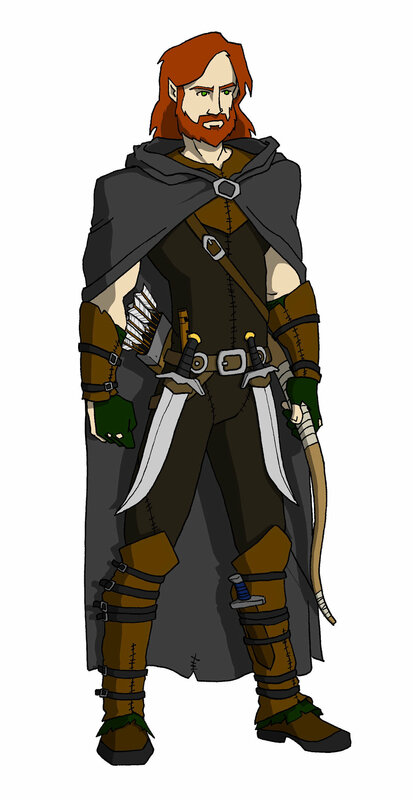 The only half-elf in his elven community, Alathar grew up an outcast. With his mother gone and his father neglectful, he found peace in the solitude of the surrounding mountains. Through years of practice, he gained survival skills, as well as skills with a bow and close-combat blades. Unsurprisingly, these years of isolation have left him an awkward conversationalist, not sure how to compose himself among others. Despite this, he longs for connections; deep down, all he ever wanted was to be accepted, and to find friends. Raised by a single mother, Skivvy was always regarded by the humans of his town with fear and mistrust. This was only made worse when his mother passed away under mysterious circumstances, and the local law came sniffing around for answers. After an altercation with the authorities, Skivvy fled town with a dead constable in his wake and an angry mob on his heels. Now he wanders the land, hoping to someday locate his long lost father... and maybe smack him around for being such a deadbeat. Known to most by his stage name of "The Maniac," Stu Wellington is a man of expensive tastes, with a flair for the dramatic. Never simply satisfied with being a magician or a strongman, Stu uses his physical power and his magical abilities in tandem, subtly influencing his opponents with his spells while enhancing his own strengths. While his persona in the ring is usually that of the "heel," Stu is actually a good man, and especially loves children, wishing to protect them whenever possible. An enigmatic nomad, Elon shares very little of himself with those around him. What is known is that he spent part of his life in the Underdark, and he now faithfully serves the god Moradin. The few details he reveals of his past, and his laconic nature, does not in any way hinder his loyalty towards his friends. In a tight spot, Elon can be one of the most trusted of allies. However, to those who wish harm on his loved ones, Elon can be counted on to bring a swift and furious destruction. A princess of the Canton family, Ysolde was betrothed to Prince Horace Kemp in order to unite the families. However, in Horace's absence, Ysolde has taken up a position as a protector of the Kemp estate, and beloved member of the family. Ysolde's closest companion is her horse, Levity, and together they patrol the streets of Kemptown. More than anything else, Ysolde desires for power and control... it remains to be seen whether Horace's return will help her achieve her ends, or whether he will be a thorn in her side. Growing up as a traveling performer, Leofore honed his musical talents by busking on the streets, slowly gaining an audience as he shared his music with the world. His rags-to-riches story and evocative lyrics have inspired love from his countless adoring fans. He frequently sells out stadiums to the enthusiastic public, but he's just as likely to hold a private, anonymous performance for a queen to lift her spirits.